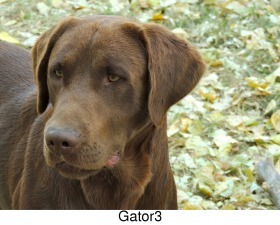 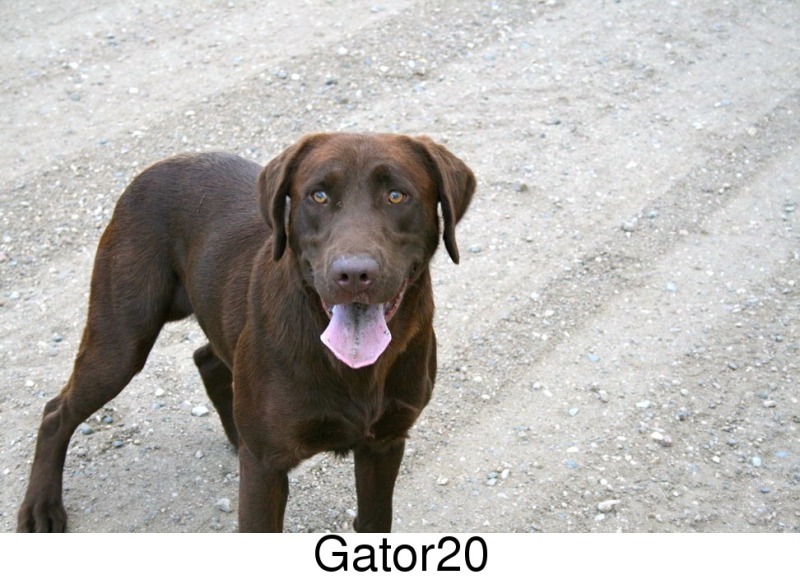 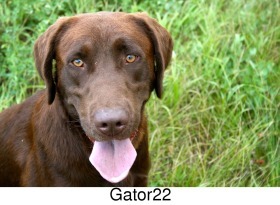 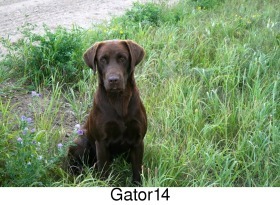 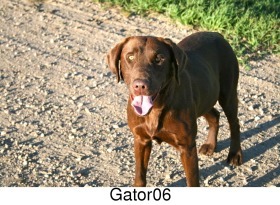 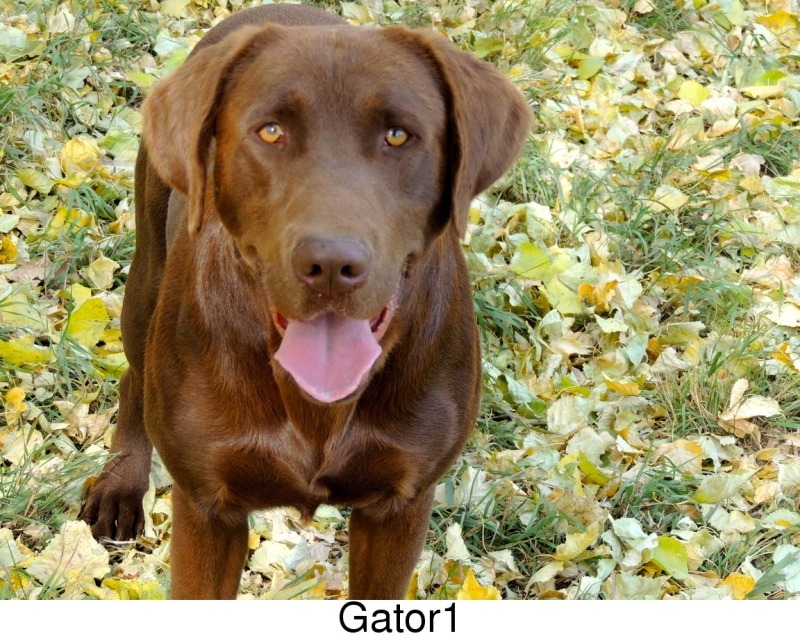 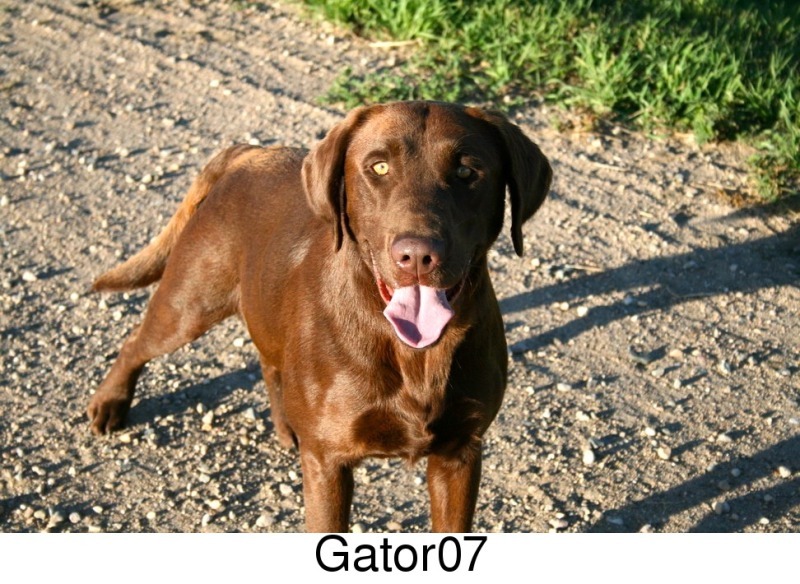 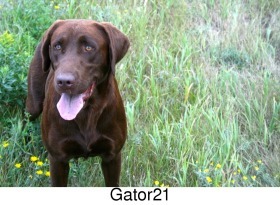 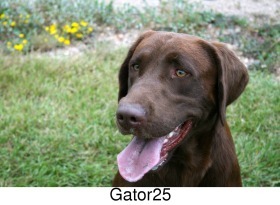 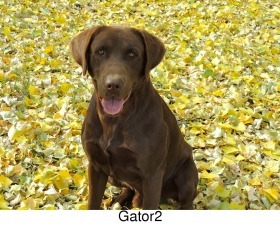 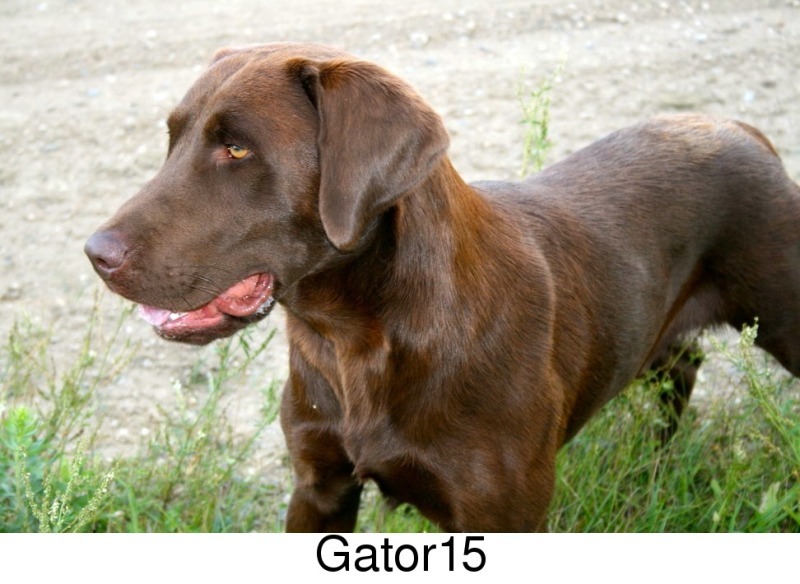 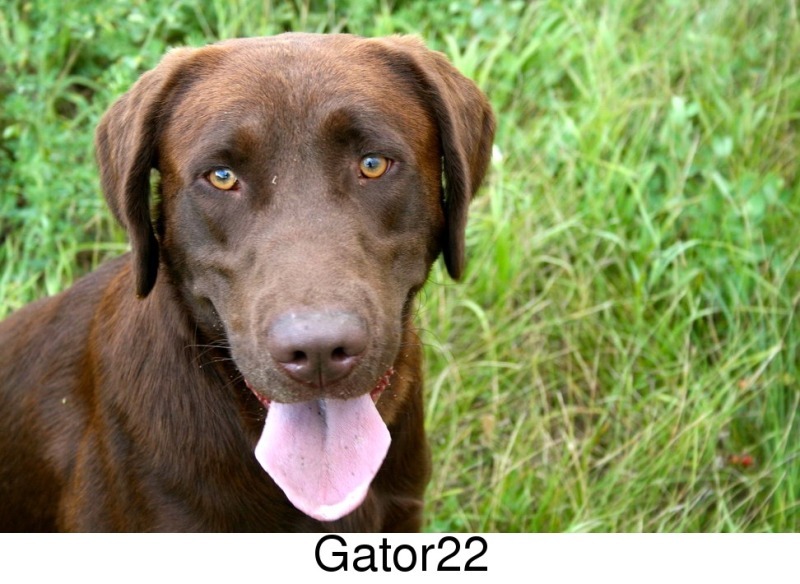 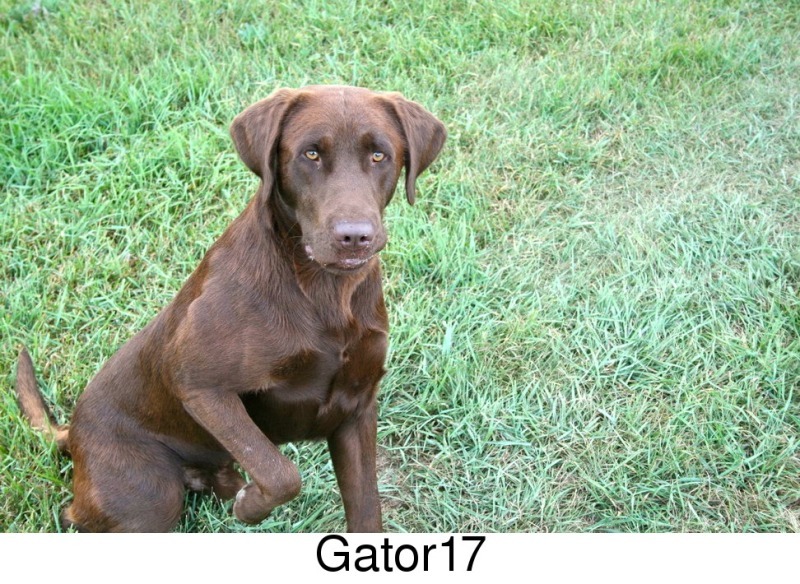 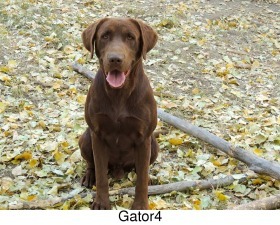 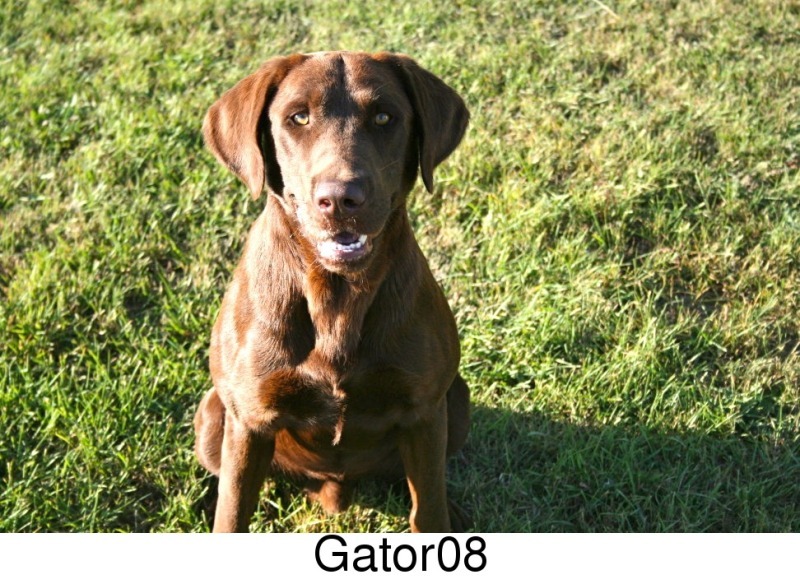 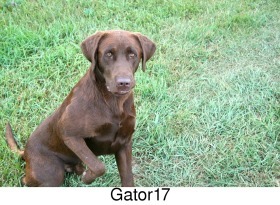 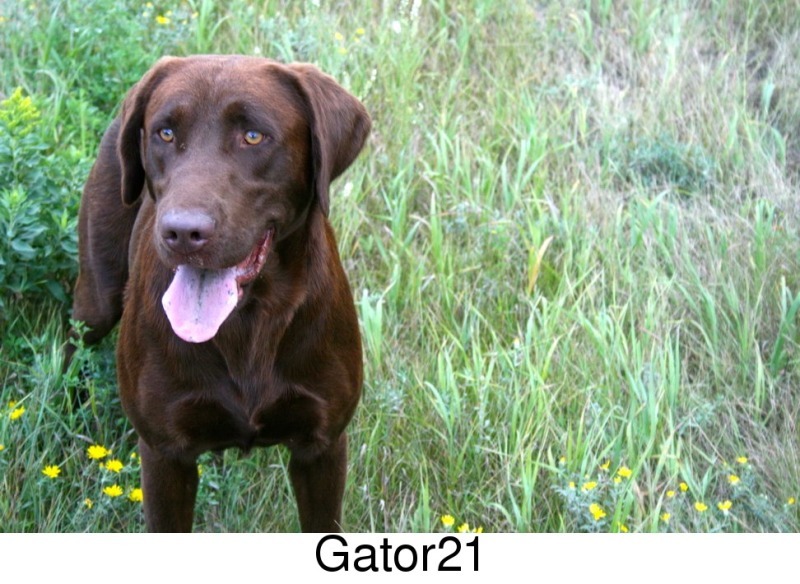 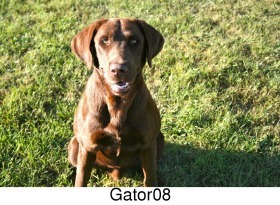 Gator is a powerful, large-boned, handsome Chocolate Lab male who comes from an exceptional Field Trial background. 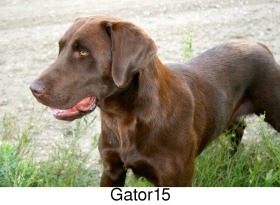 He is the nicest Chocolate Lab that I have had the pleasure of owning. 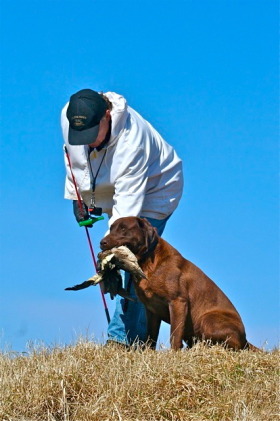 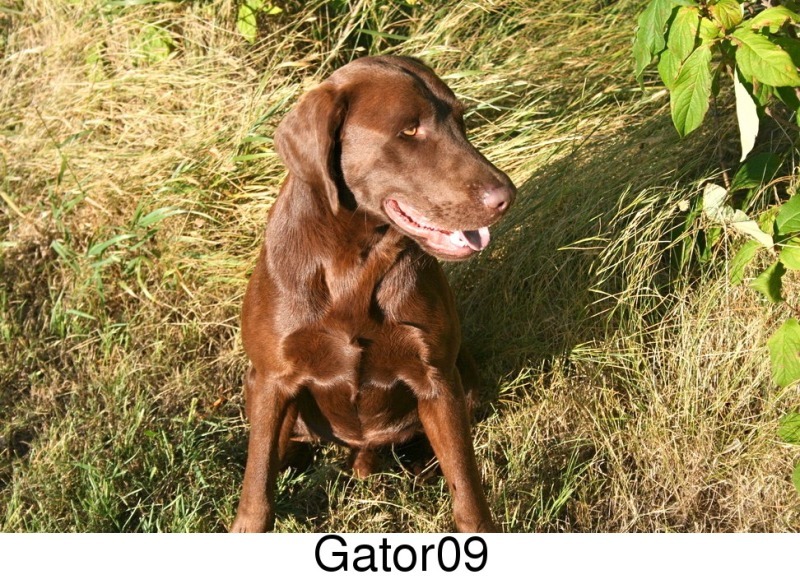 Gator has incredible retrieving drive, is intelligent, very tractable, gentle mouth, and goes through any cover or difficult water with ease. He loves to work and lives to retrieve. 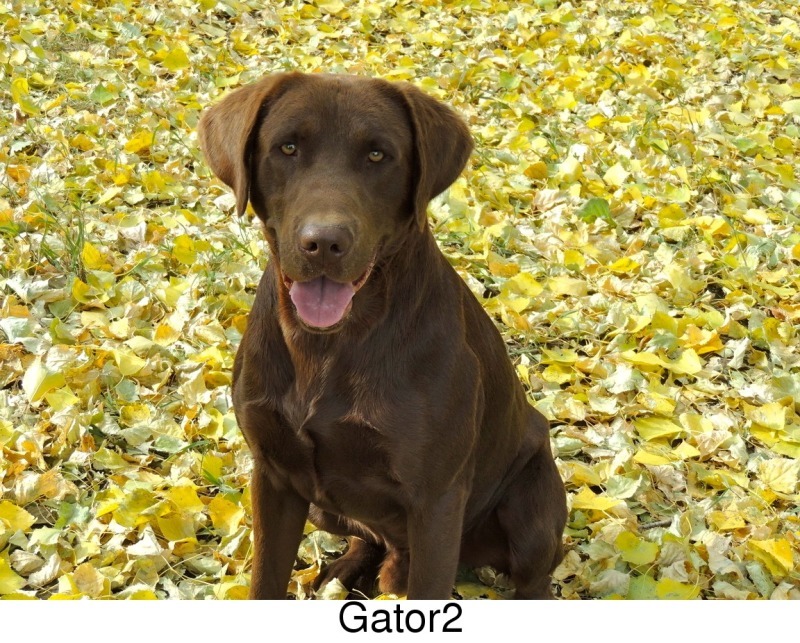 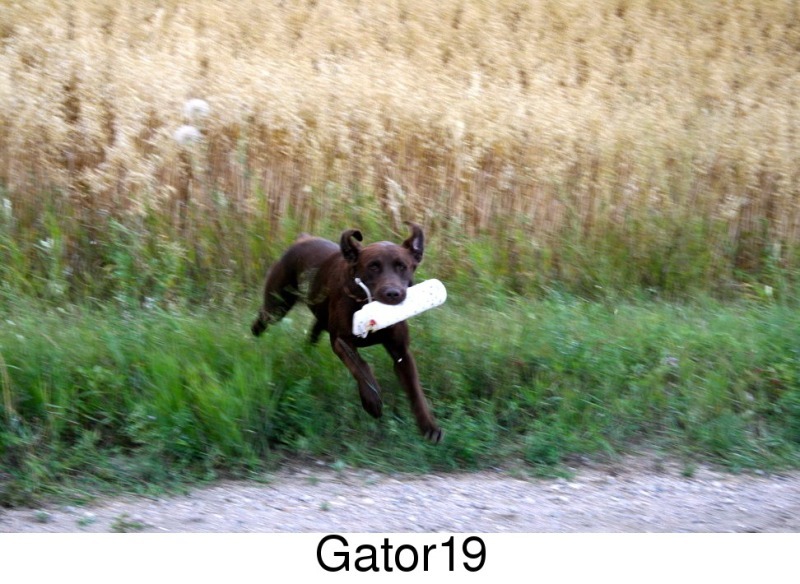 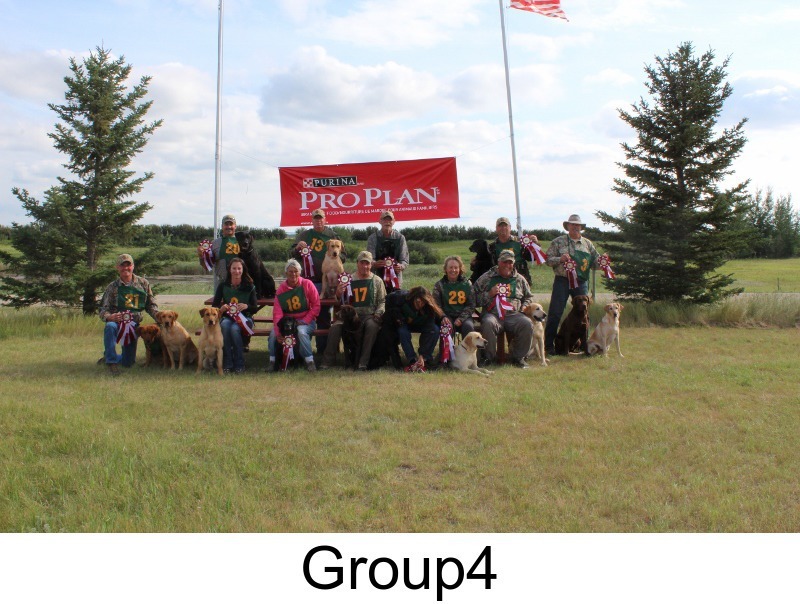 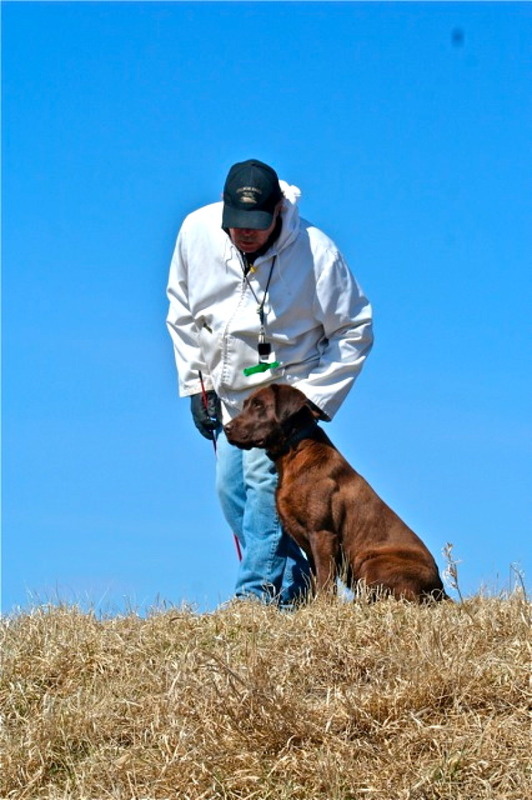 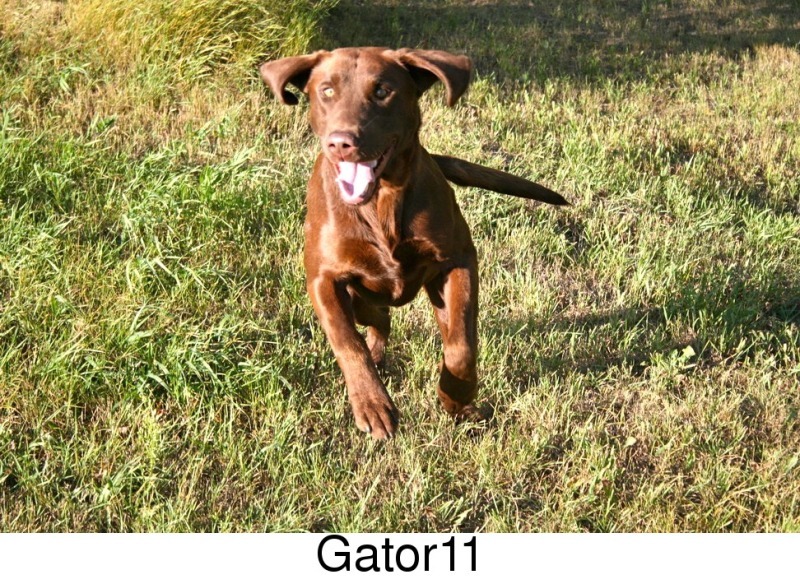 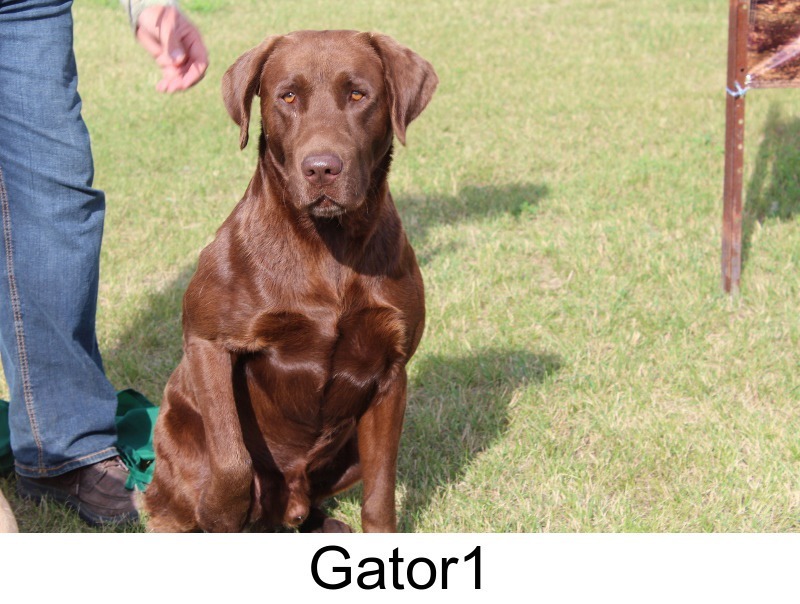 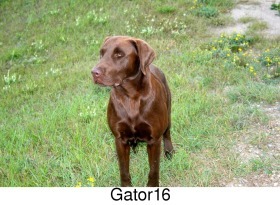 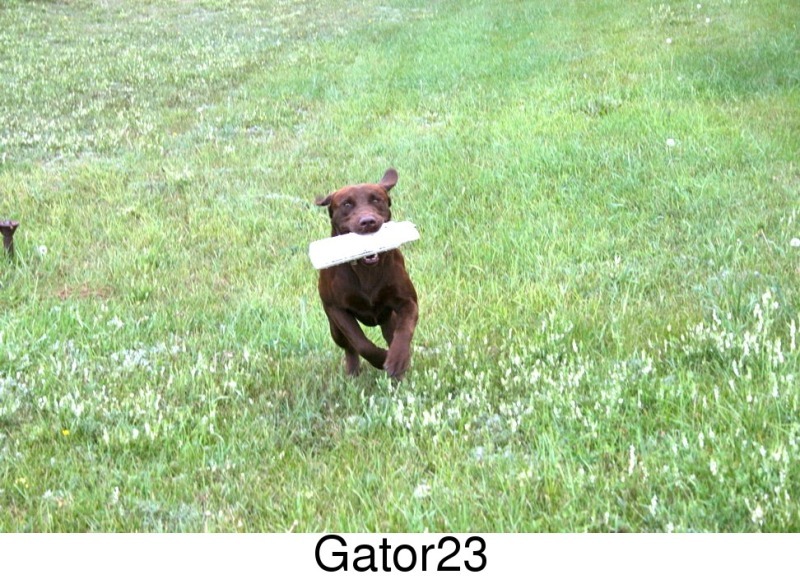 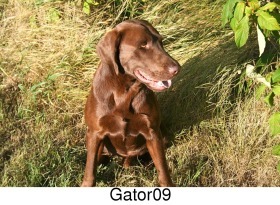 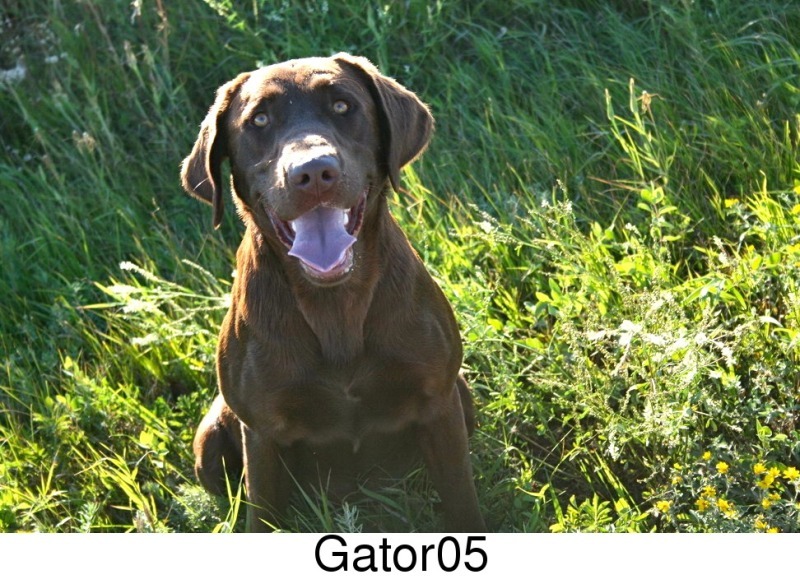 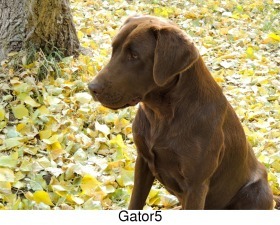 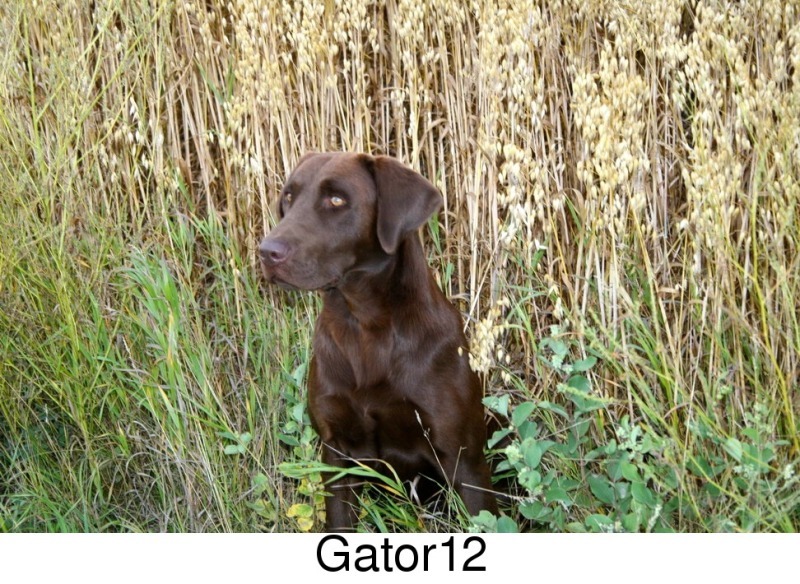 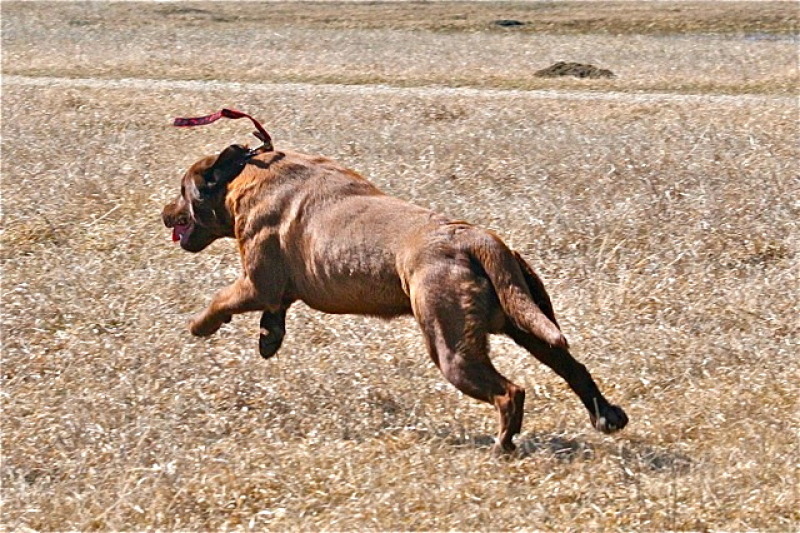 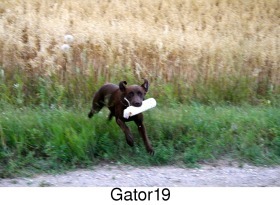 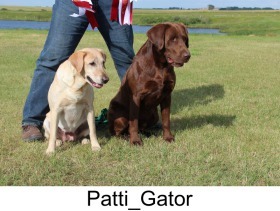 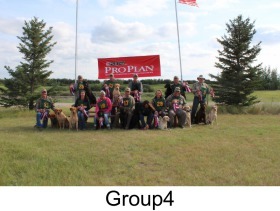 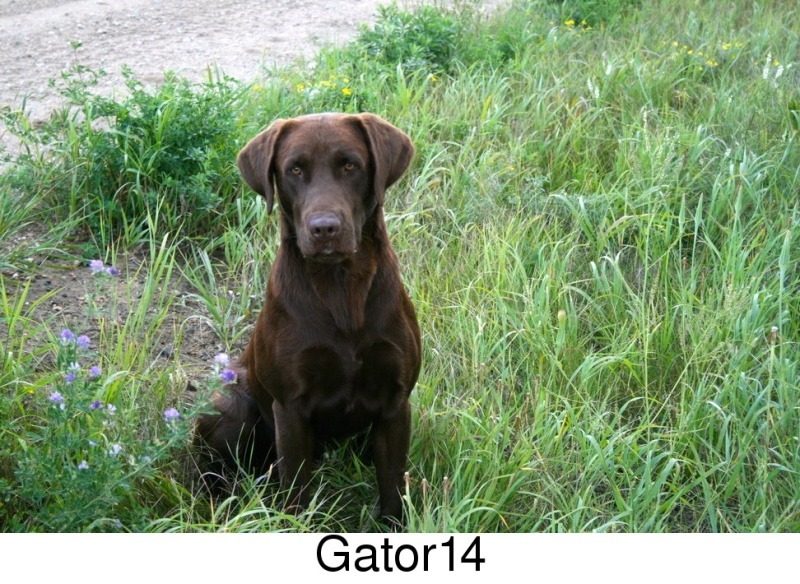 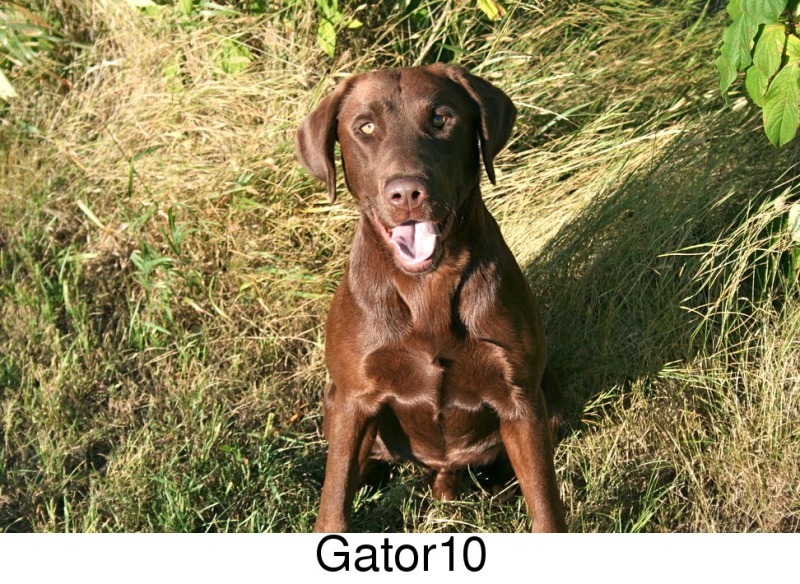 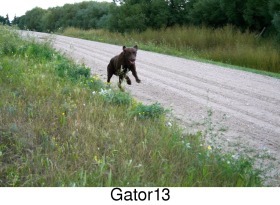 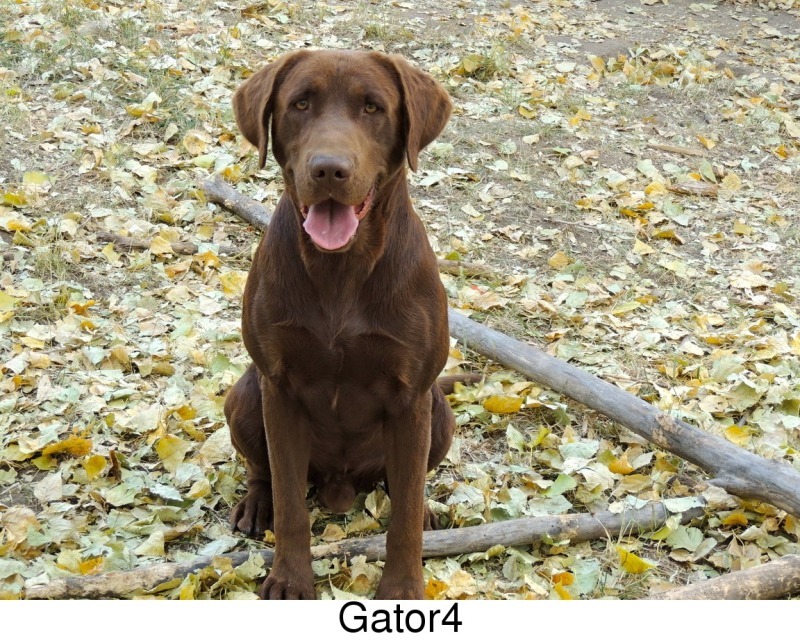 Gator comes from Santa Fe Labs in the USA and almost all of his littermates from the 4 breedings that were done with his parents have gone to hunt test/hunting/field trial homes and are doing exceptionally well in their careers. 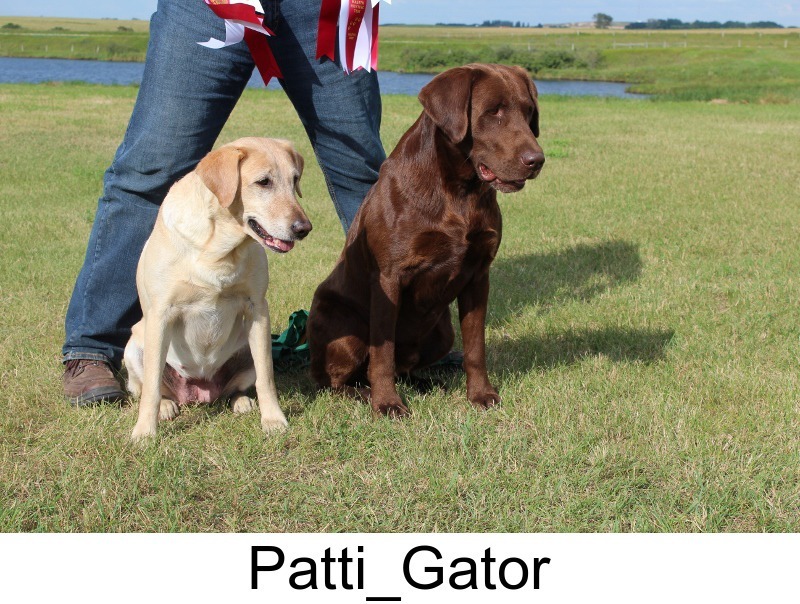 His sister from the 1st pairing is the #1 Derby Point Dog of all time in USA field trials which is an incredible accomplishment. 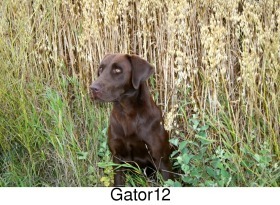 In the summer of 2011 Gator began his hunt test career and finished his WC and JH titles. In the summer of 2012 Gator completed his Working Certificate Intermediate/Working Certificate Excellent and Senior Hunter titles. 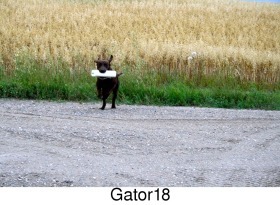 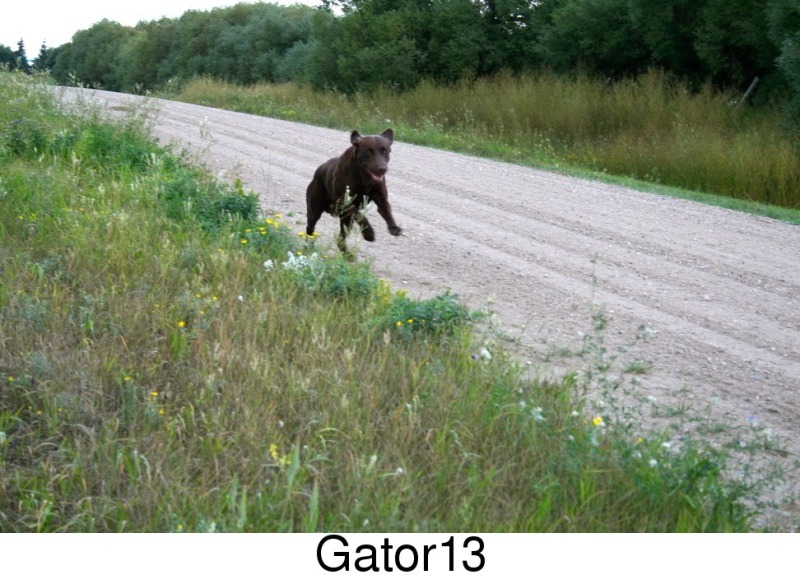 In the summer of 2013 Gator passed 5/5 to obtain his Master Hunter title. 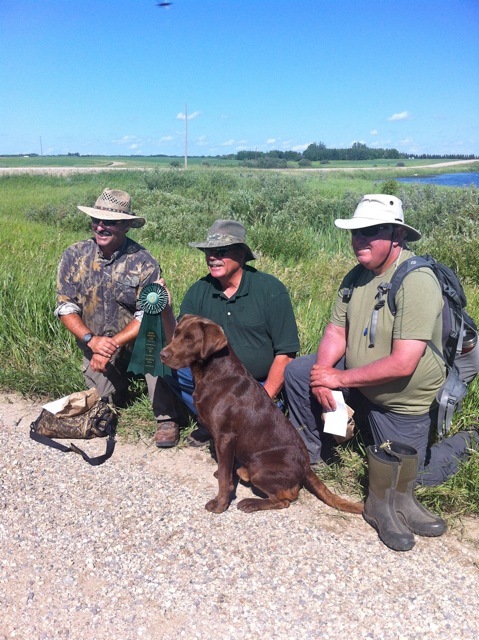 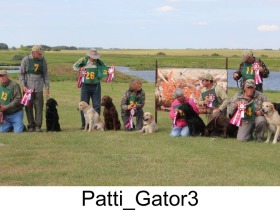 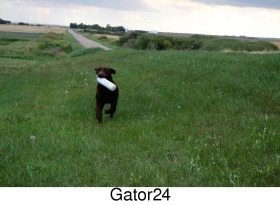 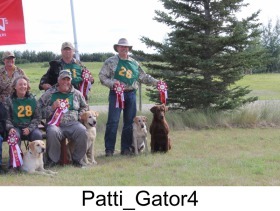 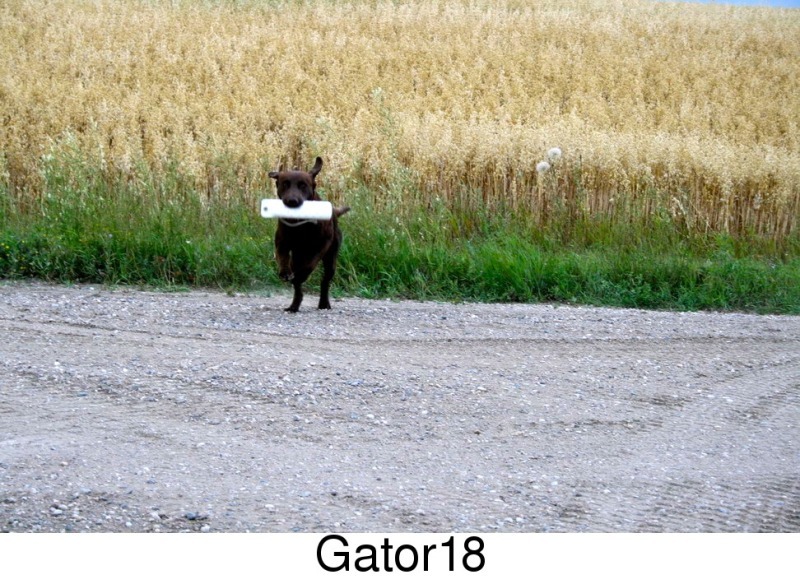 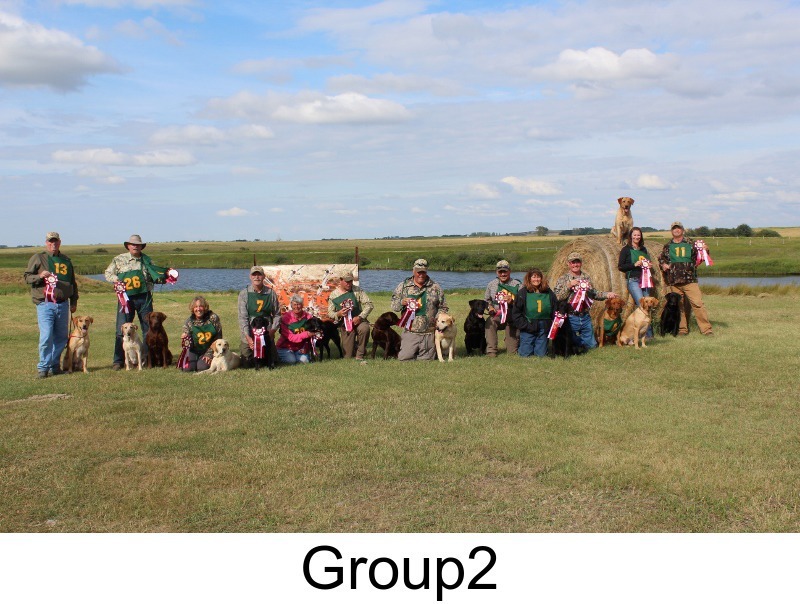 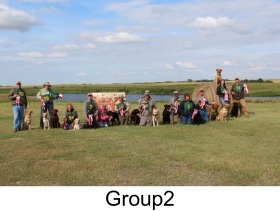 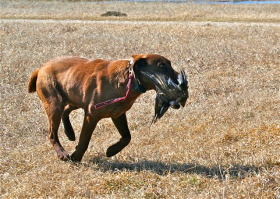 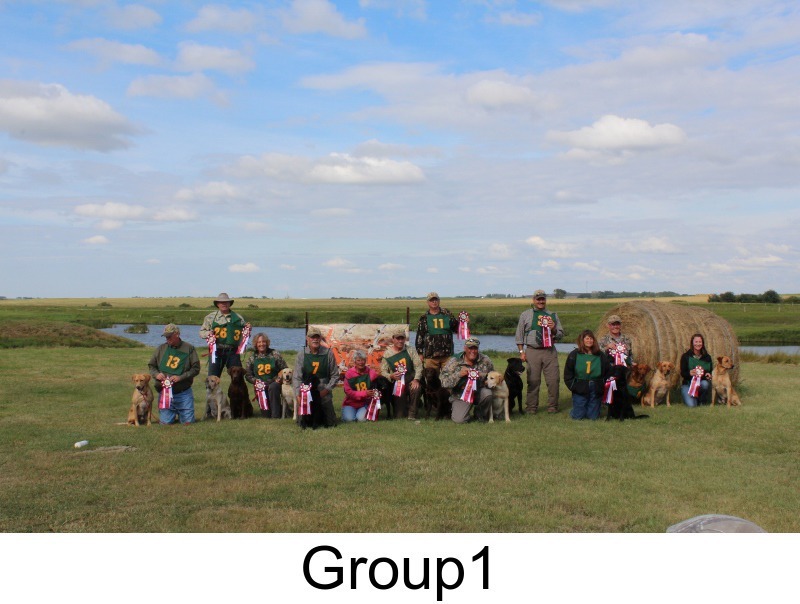 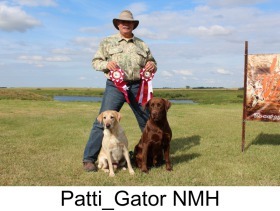 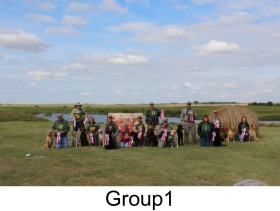 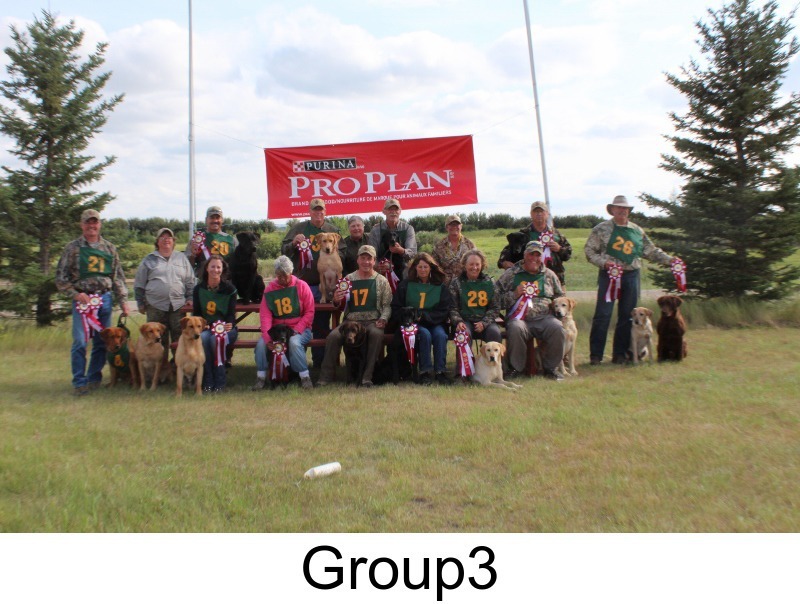 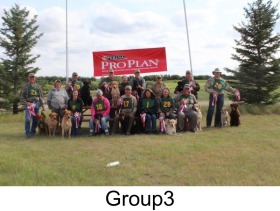 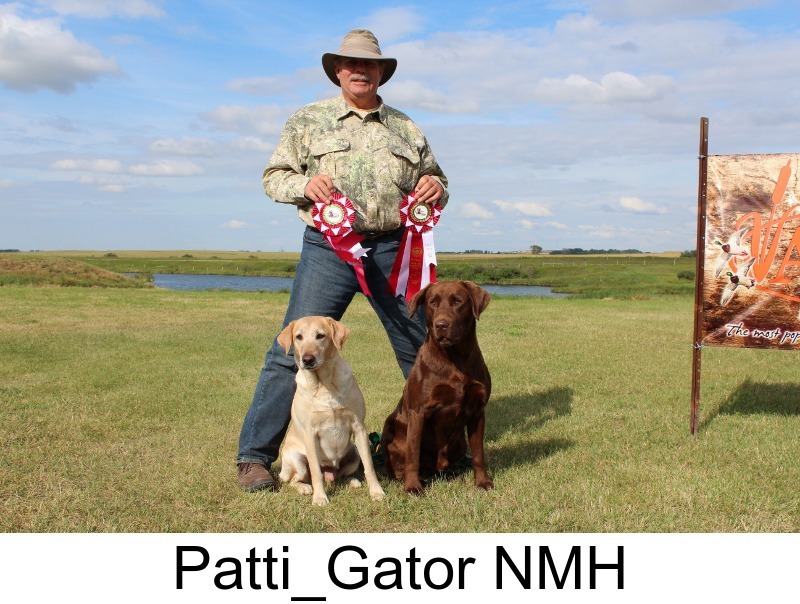 In the summer of 2014 Gator had a very successful hunt test season and finished his Grand Master Hunter title and also qualified at the National Master Hunt test held in Saskatoon, SK. 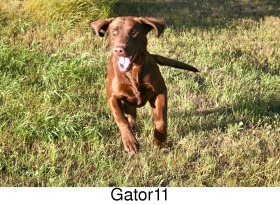 Gator has a very playful nature and loves to interact with his family and play games. He is a gentle giant, friendly with people who visit, and loves children. 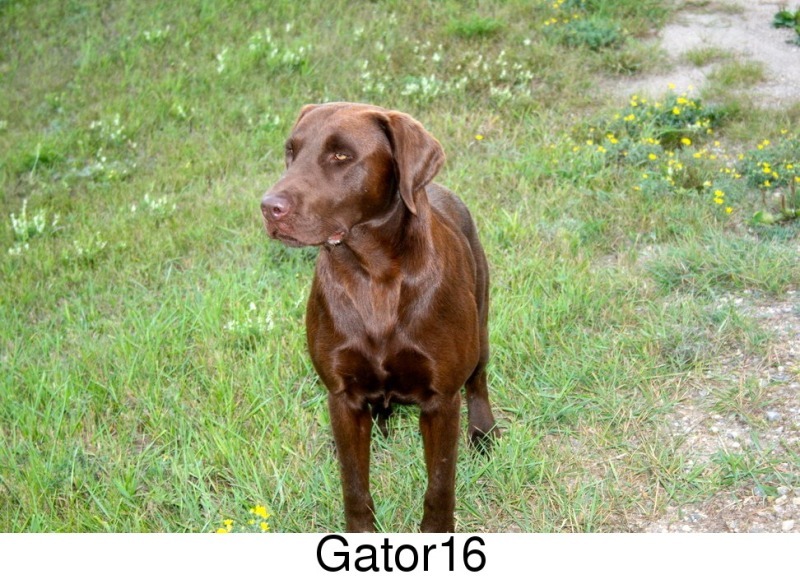 His great conformation (handsome head, large bone, nice tail) should produce some very nice looking offspring that have his exceptional working ability. 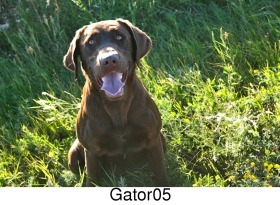 Gator is offered at stud to approved females.